For a small gathering close to Miami International Airport (MIA), reserve the professional meeting room at the Country Inn & Suites. 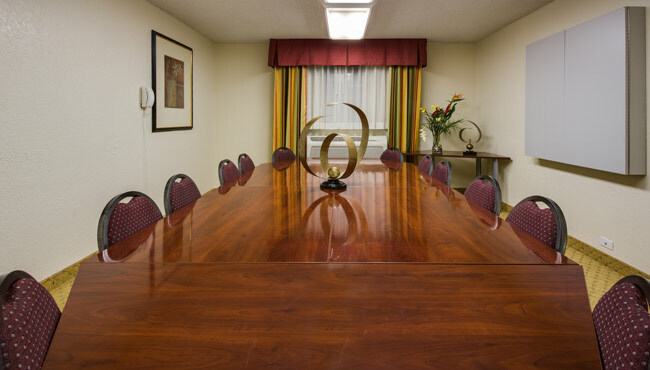 Our boardroom can accommodate 12 people, and amenities include free Wi-Fi. If you’re traveling with a group, our location offers convenience to local restaurants and a variety of Miami-area attractions. Please contact our Sales Department for more information.